Yet again Salesforce has had a monumental year. As a business, they sold more than ever before, and no-one can overlook the opening of the Salesforce Tower. Literally, you can’t overlook it, it’s the biggest building in San Francisco. 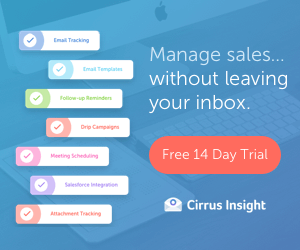 – Sales Cloud continues to be the leading product, with sales up 17% y/y. However, Marketing Cloud and Commerce Cloud are flying to say the least, they increased sales by 57% on the previous year. – Salesforce is now being used by 80% of global car manufactures, 70% of top tier banks, 66% of international communication companies, and 1 in 2 global retailers. If someone asked you today, how many Salesforce Certifications are there available, what would you say? 5, 10, perhaps even 20. However, I doubt many will be able to answer correctly and say 27! Better still, I doubt many at all will be able to name all 27 of them. Now it doesn’t seem that long ago that there were just a few certifications out there. We had; ADM201, ADM211, DEV401, DEV501, CON201 and CTA. Then we were hit with the first major change in the certification world. CON201 was splitting to create Sales cloud certified and Service Cloud certified. We all thought this was revolutionary…. how wrong we were. Today we have a real range of certifications available, from Administration to App Building, to Development, to Consulting, to Marketing to Pardot, to CPQ and last and by no means least, Architecture. With the latter being the biggest area in terms of available certifications (9), and of course the famous Certified Technical Architect qualification. 2017 was when we really saw the demand for these new certifications, by both professionals and employers alike, gather pace. 2018 is going to be the year where these really start to count. Employers want to see hands on, real life, live environment experience of the area in question. It is no good having all the certifications but little or no experience implementing that skill into a live environment. For those who are not certified at all, and don’t plan to be; this has the potential to be a risky strategy. The accessibility of platforms like trailhead to prepare for certifications means that employers are often asking me why someone isn’t certified, yet claims to be an expert in their field for X amount of years. My tip: Get the experience first, and get the certification as a way of confirming your knowledge of a particular area. Don’t rely on just one or the other. Trailhead is here to stay, but what does that really mean for the industry and job seekers? Trailhead flows on nicely from the above topic. It’s arguably the leading education platform in the IT world. Benioff and Co have created something very special that has been absorbed by the Salesforce world like nothing else. It’s allowing people to prepare for certifications in an interactive way. It’s allowing people to continue to self-develop and trial new products/features. However, from a recruitment point of view; it’s changing the landscape quickly. In the past 12 months, many companies are now seriously considering trailhead experience such as points, badges and super badges in their hiring process. Of course, points and badges are not superior to certifications and certainly not greater than experience either. However, it says something about an individual. It demonstrates that they are investing their personal time in their development, that Salesforce is their career and their passion in many ways. They’re committed to bettering themselves. What other job or marketplace is there, that allows someone to distinguish and promote their development more so than Trailhead? If Salesforce is your career, then get on Trailhead this year, and demonstrate your passion, hunger and credentials to your potential new employer! There seems to be an acquisition of one partner by another on a regular basis of late. In the past 24 months, the partner landscape has changed massively. Just a few major changes include; Appirio becoming a Wipro company, IBM taking over Bluewolf, CloudSocius being bought by 4C Consulting, Capgemini acquiring both Lyons Consulting, and LiquidHub, and PWC snapping up cDecisions. Each acquisition leads to the same question, who is next? The true answer is none of us really know, we all have our suspicions and the rumour mill is constantly turning. However, the more pressing question is, what does this actually mean? There are positives and negatives in each instance. Take Bluewolf and IBM for example. IBM are now able to lean on Bluewolf’s excellent presence and history in the SFDC space, and combine it with the might and wealth of IBM, to really take on the biggest and most complex global programmes around. They really are sitting at the top partner table now. Thus have created a rapid increase in hiring at Bluewolf, globally. They are employing more Salesforce certified experts than ever before and are on a mission to certify many of their architects. However, the negative question I often hear; is this the end for boutique type partners? We’ve had Tquila get snapped up, CloudSocius taken over, and cDecisions absorbed . Are we seeing the end of the small, flexible and relaxed cultures of the independent partners, as the big consultancies look to get a leg up on each other? I’d prefer to look at the positives here. Salesforce as a business is growing like never before, they are selling more year on year, they are launching new products continually and their nearest CRM rivals are miles behind. 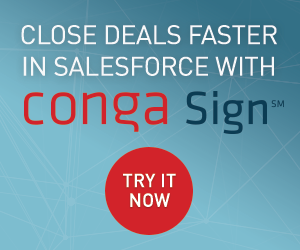 There is such a demand for Salesforce Professional Services that we are seeing new partners start up on a regular basis, including the likes of EMPAUA, CloudShift and Ignyto. These are fresh thinking Salesforce partners, hiring more Salesforce talent, creating more choice for the end-customer and at the end of day, expanding the eco-system. The changing state in the eco-system is just evolution in my opinion. There are positives and negatives to be found everywhere if you look hard enough. GDPR seems to be one of the most talked about topics at the moment. There is no doubt it is going to have a major impact this year, on both Salesforce programmes and in the Salesforce recruitment world. GDPR in Brief: General Data Protection Regulation is replacing the old EU Data Protection Directive. It is aimed at giving individuals more control over how their data is able to be collected, used and stored, as well as allowing individuals to have their data removed. It comes in to force in May 2018. The new GDPR rules mean that any business gathering and holding data is going to be impacted, therefore it without a doubt will impact every single Salesforce customer globally. Salesforce are well aware of the threat this poses, and are already taking measures to assist this transition. The Salesforce Spring 18 release included multiple GDPR features. There is a GDRP section on Trailhead and Salesforce have also set up a new help section for Data Protection and Privacy. No doubt GDPR will be a major talking point at the Salesforce World Tour in May 2018 too. How will it impact recruitment? Recruiters around the World spend vast amounts of time collecting data (Names, numbers, CV’s etc) and storing them on databases and spreadsheets. When the time comes they act on these. Just like Salesforce orgs, these databases and spreadsheets are going to have to comply with GDPR ruling too. Gone will be the days of recruiters of stockpiling contact information without your consent, spamming you emails that you never requested, and importantly bringing the end to recruitment companies sending your CV anywhere without your written consent. Recruitment agencies will need your permission to hold and store your data, as well as giving you the option to have your data removed (right to be forgotten). With Salesforce being a customer and data focused application, GDPR is going to have an immense impact on the way orgs are managed, data is collected, stored and acted upon. It equally is going to have a great impact on practices of recruitment agencies, and in my opinion only for the greater good. Look out for lots of GDPR/Salesforce projects coming up this year, as well as various new GDRP safe Salesforce applications/tools. 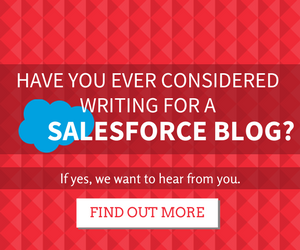 Next Post: Salesforce Sphere – February Round Up of the Top Blog Posts! I think comparing the Cloudsocius acquisition to that of the Bluewolf or Tquila ones is a poor comparison. IBM and Accenture are companies with 350,000+ employees, 4C totals circa 300 with 90 or so coming from the UK (Cloudsocius) business. 4C is still boutique but that bridge between global SI’s and the rest of the pack. Hi Hugo. I’m not directly comparing any parter to another. Merely making the point that we have seen the following mergers and acquisitions of late, and what questions this poses to the consultancy market, and the employees involved.